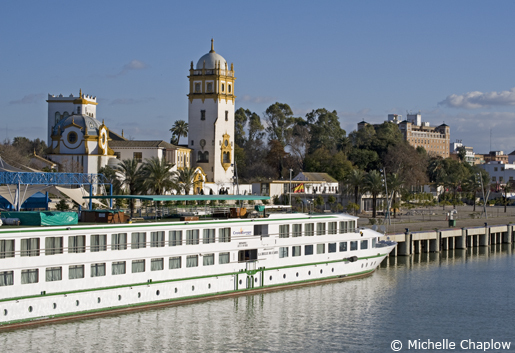 Take a cruise along the Guadalquivir. These aren't so much ways to get around, as ways to see the city, whether by horse-drawn carriage, open-top bus tour, or a boat trip on the river. A new, eco-friendly way to see the city is a Segway, a two-wheeled upright electric vehicle, with zero emissions. Especially useful in the centre, on traffic-free roads. With great views from the open-top double-decker bus, strategically placed stops and an interesting multi-lingual commentary, this is the best introduction to the main sights of Seville, if not the historic centre itself. 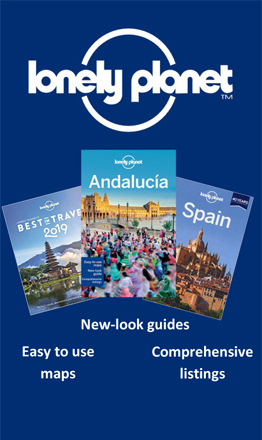 Route is Torre del Oro - Plaza de España - Plaza de América - Triana: San Jacinto - Triana: Calle Castilla - Universal Exhibition (Expo '92) - Isla Mágica - Macarena - Torre de los Perdigones - Alameda de Hércules - Plaza del Duque - Plaza de Armas. You can hop on and off as many times as you like in 24 hrs from first use. The entire route takes approximately 1 hour 15 minutes. The bus departs every 20 - 30 minutes from each stop. Tickets, which can be bought online or in many shops and hotels around the city, are valid for 24 hours from first use and cost 18 euros for adults, 8 euros for children (5-12 years). 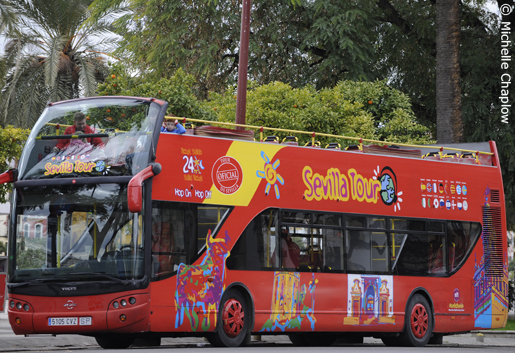 The tourist buses are an excellent way to orientate yourself around Seville. A touristy but fun way to see the main sights is to take a horse and carriage ride, especially suitable in Parque Maria Luisa with its wide avenues and grand buildings and plazas - on the way there, look out for such Seville landmarks as the Teatro Lope de Vega, the tobacco factory, setting for Carmen, and the palatial Alfonso XIII hotel. Especially good for families, as the driver often lets children sit next to him, and for couples it's quite romantic! 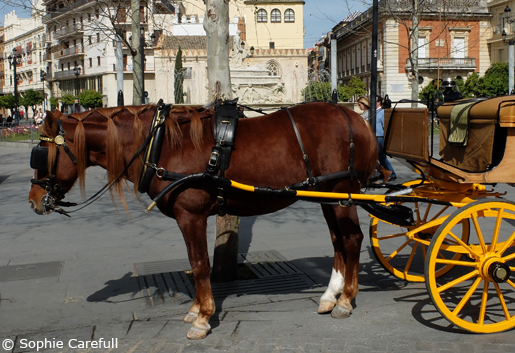 There's a flat fare of 36.06 euro for one hour, for a maximum of four adults; choose your steed next to the cathedral or at Plaza de Espana in Parque Maria Luisa. 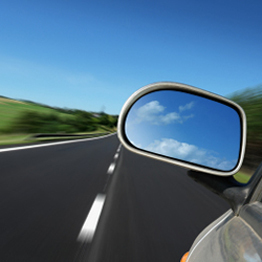 Most drivers speak some English, and will point out the main features of interest. Go back in time and tour the city by horse and carriage. Taking a river trip always gives you a new view of a city, a different perspective. The boat tours leave from the Torre de Oro, go up the Guadalquivir river to the Expo 92 site on Isla Cartuja, and then come back down again, pointing out various historic bridges and buildings along the way. Especially enjoyable on hot days, as the river gives the air a much-needed coolness. The Guadalquivir played a key role in Seville's history, as all Spain's riches arrived here by ship from the New World in the 16th and 17th centuries. The tour costs 16 euros, takes an hour, and leaves every 30 minutes. In this leafy park just south of the centre, you can hire "cyclobus" bicycles, four-wheelers which seat two adults, with a bench for up to four children at the front, enclosed by a safety bar. The park is ideal for cycling as it is flat, with many paths through trees, grass and little plazas and glorietas, and cafes and kiosks to stop for refreshments after all that peddling (and paddling; you can also hire rowing boats in the 500-metre-long Plaza de España canal, 5 euros for 35 minutes, or even a motorboat called Enriqueta for 11 euros, including driver). 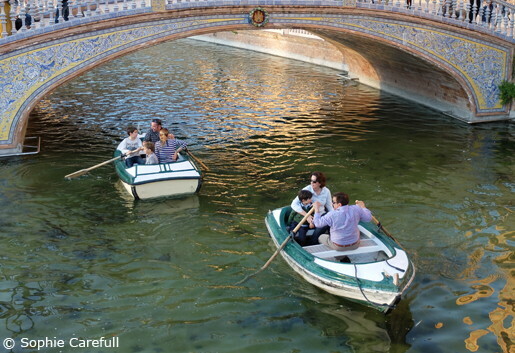 Row, row, row your boat on the canal in Plaza de España. These two-wheeled upright electric vehicles (you stand on them and hold the handles of the vertical column to steer) are a great way of seeing the city centre, now largely pedestrianised, if you don't want to walk, or if your mobility is impaired but you're happy to stand. They are small enough to fit down the narrowest of alleyways in the barrio Santa Cruz, but you can also use them on the 140km of cycle lanes in the city and along the riverside promenades. Price from 30 euros for one-hour guided tour (includes training session). Routes cover museums and monuments; Barrio Santa Cruz; Parque Maria Luisa; Triana; Isla Cartuja; and the Macarena.